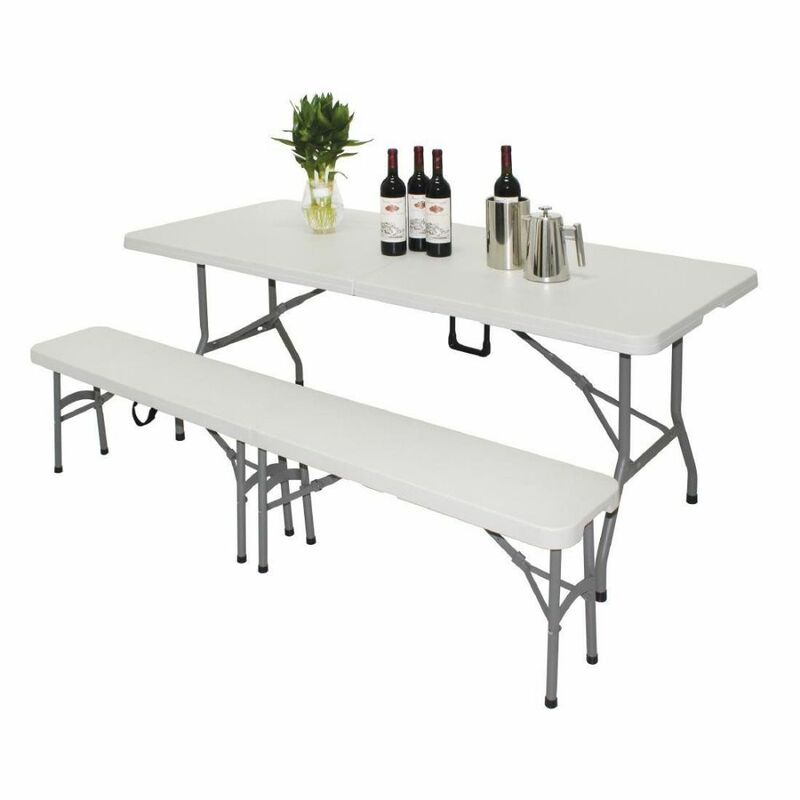 Instantly create additional catering space with this strong, versatile 6ft folding table, perfect indoors or outside for buffets, parties, banquets and weddings. The space saving design makes the table easy to carry and transport, making it the table of choice for mobile caterers and wedding venues. Increase your scope for more catering opportunities with this practical foldaway table, sturdy and reliable even when laden with heavy objects.